Twenty-three million years ago, the Antarctic Ice Sheet began to shrink, going from an expanse larger than today's to one about half its modern size. Computer models suggested a spike in carbon dioxide levels as the cause, but the evidence was elusive – until now. Ancient fossilized leaves retrieved from a lake bed in New Zealand now show for the first time that carbon dioxide levels increased dramatically over a relatively short period of time as the ice sheet began to deteriorate. "We see here that when the Antarctic ice sheet starts deteriorating, it is not that easy to get it back," said study lead author Tammo Reichgelt, a postdoctoral research scientist at Columbia University's Lamont-Doherty Earth Observatory. "Some models have shown that, at the rate we're going right now, the Antarctic Ice Sheet might reach a critical tipping point and start reducing the extent of ice very quickly. We see here that that has happened in the past." "This is the first time we have found evidence that CO2 fluctuations of this magnitude can happen on relatively short time scales," Reichgelt said. To compare the CO2 increase to modern times, atmospheric CO2 recently passed 400 ppm and is rising. What caused the CO2 spike 23 million years ago is still unknown, Reichgelt said. Glacial periods have coincided with cyclical changes in Earth's orbit, and one theory suggests that organic material that had built up in the Southern Ocean may have started oxygenating quickly and released large amounts of CO2. To dig into the past, the scientists analyzed sediment cores from the bottom of an ancient lake on New Zealand's South Island where conditions at that time were ideal for preserving evidence of climates past. Foulden Maar was a humid, subtropical area surrounded by a diverse rainforest back then, and the lake was deep, creating low-oxygen conditions at the bottom that helped preserve forest leaves that fell in and sank. 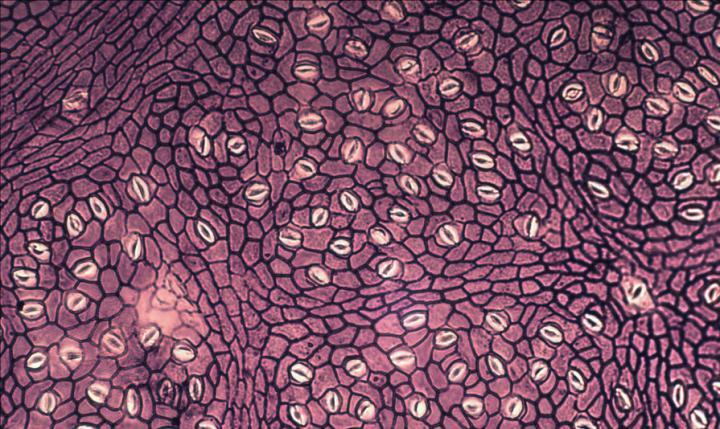 In those now-fossilized leaves, the scientists can clearly see the size, shape and number of the leaves' stomata, the opening through which leaves "breathe" CO2 in and release oxygen. The carbon isotope composition of the leaves together with the stomatal data provided the atmospheric CO2 estimates for the period 23 million years ago. "The leaves living in the forest surrounding the lake were responding to a change in CO2 by reducing the number of stomata as CO2 increased," said co-author William D'Andrea, a Lamont associate research professor and climate scientist. D'Andrea noted that even the lowest end of the CO2 estimates in the new study, around 750 ppm, appears to have been high enough to destabilize the Antarctic Ice Sheet. "Prior to this study, it was unclear if atmospheric carbon dioxide increased during the termination of the Miocene Mi-1 glaciation, a factor critical to ending glaciations," said Aaron Diefendorf, a paleoclimatologist at the University of Cincinnati who was not involved in the new study. "This new study will provide Earth scientists new information to study this glaciation and provide a new framework to approach other glaciations and events in Earth's past."